If your vehicle has failed its emission test or if you are experiencing a problem with your muffler, you should see a technician who is certified to work with emissions. One big indication of an emissions problem is your oil light turning on. Delaying the repair of your vehicle's emissions could be very costly. Some states will not even allow you to drive your vehicle unless the emissions follow state regulations. Left unresolved, the faulty emissions could result into an even more expensive repair down the road. Older vehicles can often experience more emissions issues due to outdated technology. 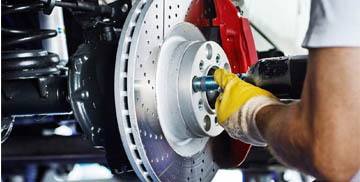 Qualified technicians can run tests that measure your emission levels and determine where the problem lies. Newer vehicles should alert you with a check engine or oil light on your dashboard allowing you to see a problem and allow your technician to determine if emissions tests should be conducted. Perhaps there is a problem with your catalytic converter. Maybe your vehicle's exhaust emissions contain excessive hydrocarbon, nitrogen oxides, or carbon monoxide. It is possible a technician will find additional problems with your exhaust while performing a diagnostic test. 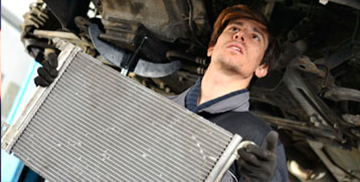 If a vehicle fails an emissions inspection, repairs will most likely be needed. Once a technician pinpoints the issue with your emissions system, they will explain how the problem was caused perform any necessary exhaust repairs. It is possible, but not recommended, to perform an emissions exhaust repair yourself. You could potentially make a critical mistake during the repair process that will harm your vehicle and cost you a lot more in repairs in the near future. 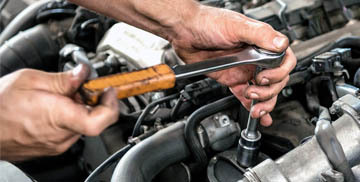 Today's computer controlled and fuel injected vehicles have complicated technology that requires a technician with a high amount of automotive knowledge and training to properly diagnose and make the needed repairs. 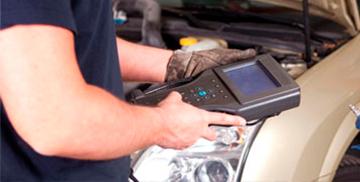 Technicians have access to OBD generic scan tools, 5-gas exhaust analyzers and engine analyzers that allow them to accurately measure your emissions and identify and correct the issue.